There is a lot more presents to deliver for a lot more people than many years ago. 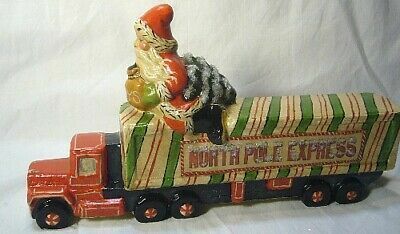 This is a Wonderful Piece designed by Judy Vaillancourt that the Child in you will Love as it you did your first Truck from Santa. It measures 10 1/4 x 2 x 6 inches and is in perfect condition.